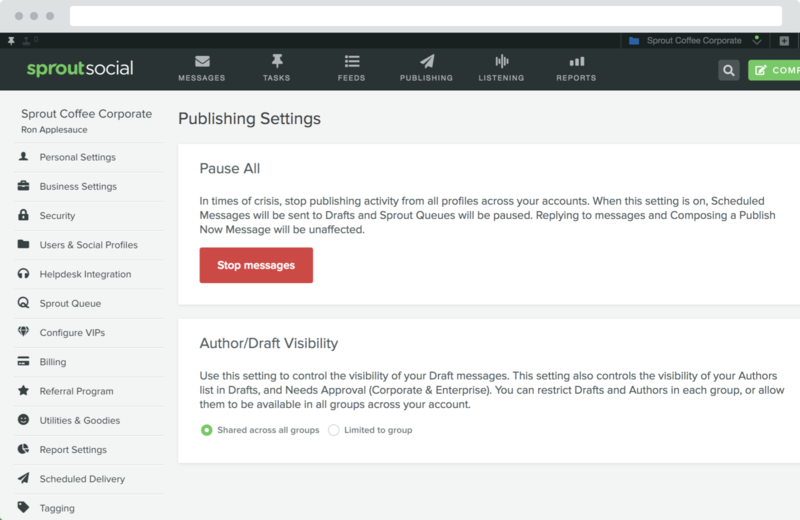 You can now pause all scheduled and queued messages using a single action within Publishing Settings to halt all outgoing content during times of crisis to exercise sympathy, re-establish content control or avoid the publishing of irrelevant content. Go to Settings. Enter Publishing Settings. In the Pause All section, select Stop messages.